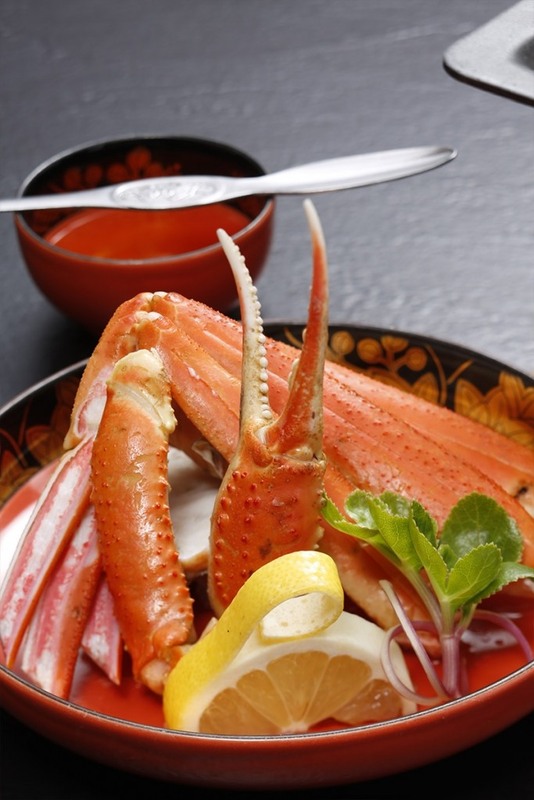 Our menu features kaiseki ryori (traditional multi-course Japanese fine cuisine) carefully prepared with a variety of ingredients from Shimane Prefecture and seafood from the Sea of Japan. *The menu is subject to change according to availability of ingredients. 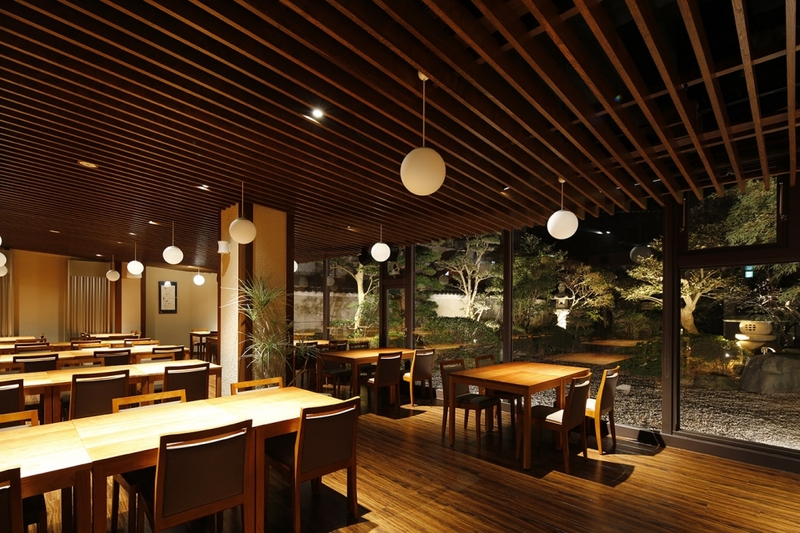 * Dinner seatings begin from 18:00 / 18:30 / 19:00 hours. Guests are requested to select their preferred time. 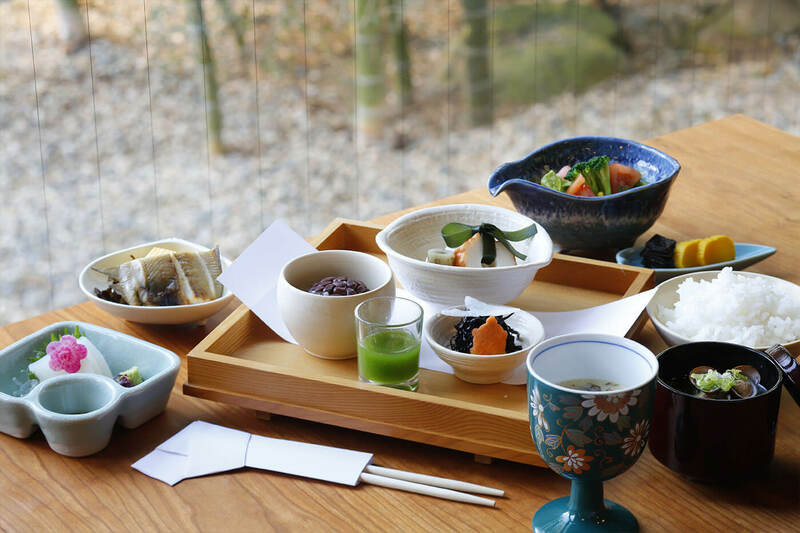 Please enjoy our “Sampo Breakfast of Good Fortune” to commemorate your visit to the Izumo-Taisha Grand Shrine, known for its “God of Matchmaking”. The wooden platter in the center contains 3 bowls representing the auspicious ingredients associated with the Taisha. 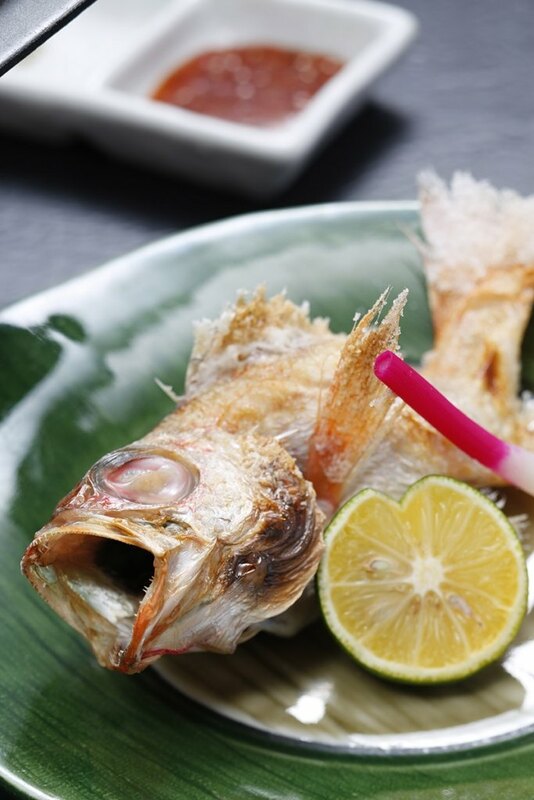 It is also served with a healthy juice made from the medicinal herbs of Izumo. 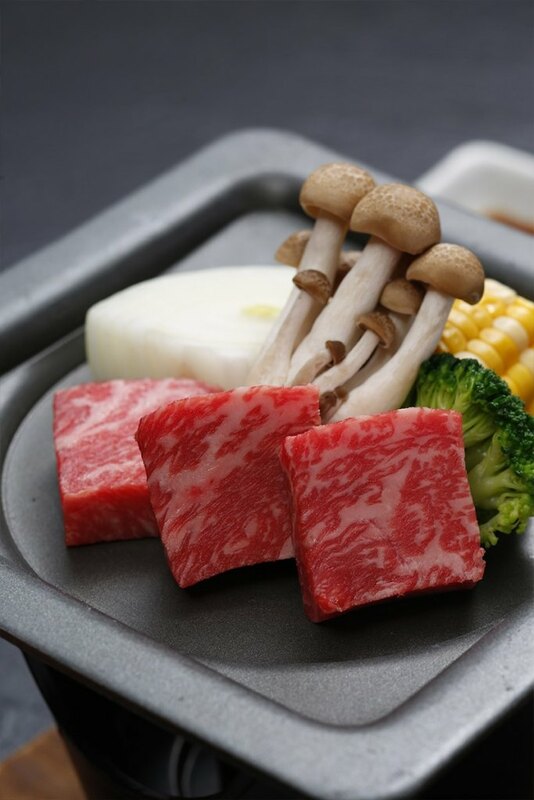 *Sampo is the platter used for offering food to the Gods. Breakfast seatings begin from 7:00 / 7:30 / 8:00 hours. Guests are requested to select their preferred time. Our spacious dining room overlooking the garden. Please enjoy your meal while taking in the relaxing view.